The Chevels opened for Major Lance on the first night of business. Ike and Tina also played there once. The neat thing about the club was that the stage was part of the dance floor and was not elevated so you were looking the performers straight in the face. It was a short-Lived venue. Only about 1 1/2 to 2 yrs. I think several of the DJs of the time were involved in it. It was an Insurance office before that and became another business later. I think the building is still there. Some additional information on the 2 + 2 Club on Clayton Road. 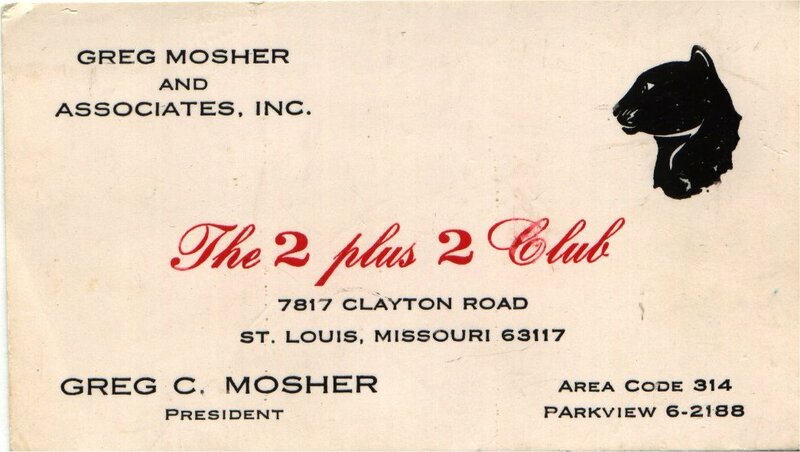 Being a student at CBC from 1962 to 1966, I remember the 2 + 2 Club on Clayton Rd. There were some nights for teens with only soda and snacks being served. I don't recall what bands I saw the few times I was there, but everyone remembers Bob Kuban having played there. The building reminded me of an old gas station that later became The Tropic Shop for casual and outdoor furniture. For this business, a building was built around the old building with large glass windows that were brightly lit at night.